Austroads has released a report outlining proposals to mitigate barriers to driver licence ownership and retention by Indigenous and other road users. Lack of appropriate access to driver licensing services is a barrier to employment, economic participation and access to government and non-government services by Indigenous people and other road user groups. The study examined the impact of social and economic disadvantage experienced by Indigenous Australians in relation to transport access, transport related contact with the justice system and road trauma. 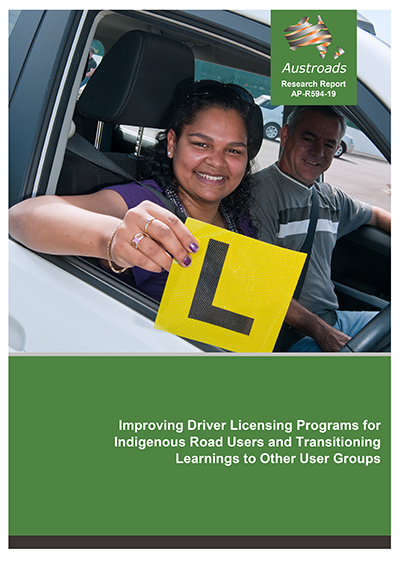 The publication presents a summary of the views of jurisdictions expressed at an Indigenous Licensing Forum and a review of the literature relating to driver licence acquisition and maintenance by Indigenous communities. A survey of jurisdictional policies and programs provided evidence of close alignment between the conclusions of the literature and the experience of jurisdictions in designing and delivering licensing programs to Indigenous communities in the context of current policy settings in transport and justice. a draft national minimum data set and suggested reporting and dissemination framework to assist program improvements and maximise the impact of jurisdictional design and innovation. The degree of congruence between the literature, the priorities expressed at the workshop and the responses of each jurisdiction to the survey provides a clear indication of a shared concern for improved practice and the continuing priority being given to the resolution of a significant social and economic challenge. Join us for a free webinar on Wednesday 27 February 2019, 1pm AEDT for an overview of this study by the report author Paul Rajan. No charge but registration essential. Can’t make the live session? Register and we’ll send you a link to the recording. Register now!